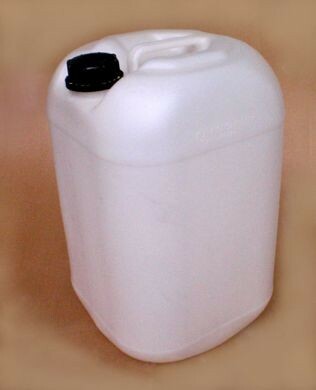 Plastic Jerry Can with integral handle and screw top. Nominal capacity 25ltr. Large screw cap which can be changed for a tap (available separately).